Developed in Belgium, the Brussels was developed from primarily the Affenpinscher and the Belgian street dog ??? a dog similar to the Fox Terrier, except heavier. Brussels Griffons were often kept in stables as rat catchers. Gradually they became regular members of most Belgian households. 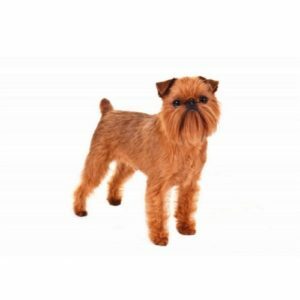 Old folk songs and tales of the period mention “bearded dogs” in reference to the spunky Brussels Griffon.